Some of the Muppets’ most distinctive ad campaigns were made through Chicago advertising agencies, and the executive responsible for bringing Jim out there in 1958 was Bill Wright, representing the Kraml Dairy. For about five years, Jim made milk commercials using the characters and scripts that he had originally conceived of for the Wilkins Coffee Company in Washington. 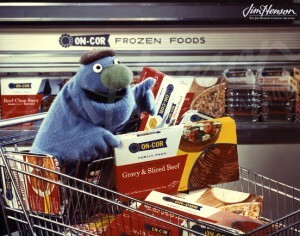 In 1962, Jim created a new character, Onky, for Wright’s client On-Cor Frozen Foods. The puppet style was a departure from the hand and rod puppets Jim had been using – Onky had “live-hands” meaning the puppeteer put his hand in the puppet’s glove-like hand, enabling the character to easily pick up things (like the product being advertised) and give a more realistic performance. 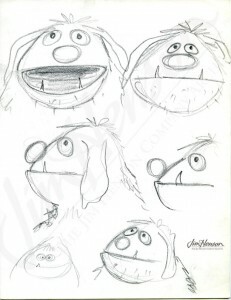 While Onky’s arms were short and almost flipper-like, making for an awkward kind of movement, later in the year, Jim and his new collaborator Don Sahlin created a live-hand puppet that was extremely expressive: Rowlf the Dog. Rowlf (with another dog Baskerville) was created for a Canadian Purina Dog Chow commercial, but Jim’s natural performance made his comfort and connection with the character apparent. 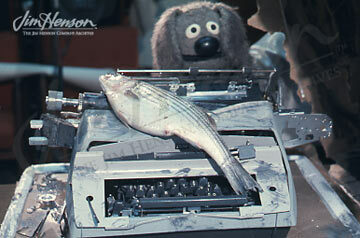 Soon, Rowlf was much sought after for commercials, sales films and appearances. 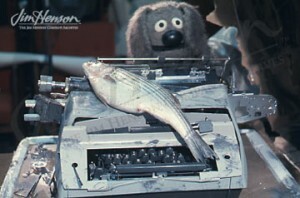 In late 1963, Rowlf was about to get his big break with The Jimmy Dean Show, and, at the same time, Bill Wright contracted with Jim to make a sales film for the American Photocopy Equipment Company (APECO). 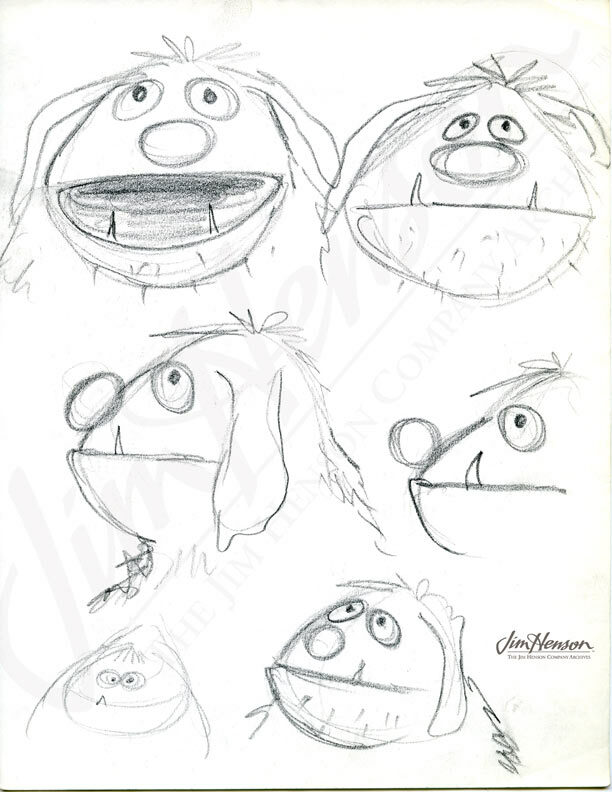 Starting with a script from the company highlighting moments in their corporate history, Jerry Juhl “muppet-ized” it, adding commentary from Rowlf and Baskerville. By making fun of the original dry presentation, the dogs livened up the proceedings and gave the audience a break. This first corporate sales film led to a long relationship with another business machine company – starting in 1966, Rowlf would become a principal spokesdog for IBM. Eventually, dozens of Muppet Meeting Films would delight fidgety audiences at corporate meetings and retreats around the country. Jim’s sketch of Onky for On-Cor Frozen Foods, 1962. Onky in a commercial for On-Cor Frozen Foods, 1962. Photo by Del Ankers. 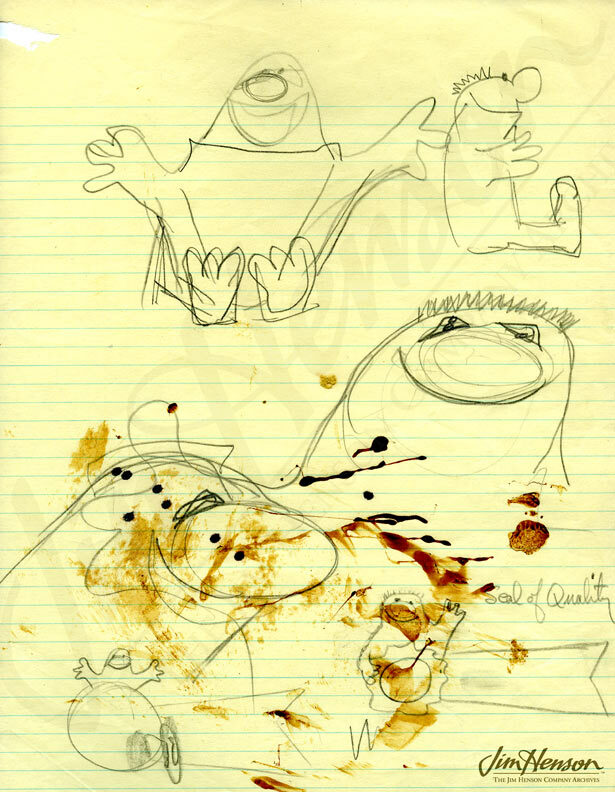 Jim’s sketch of Rowlf for Purina Dog Chow, 1962. Rowlf promoting IBM products around 1967. 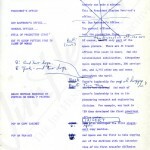 Script for Apeco meeting film with Jerry Juhl’s annotations, 1963. Page 1 of 2. 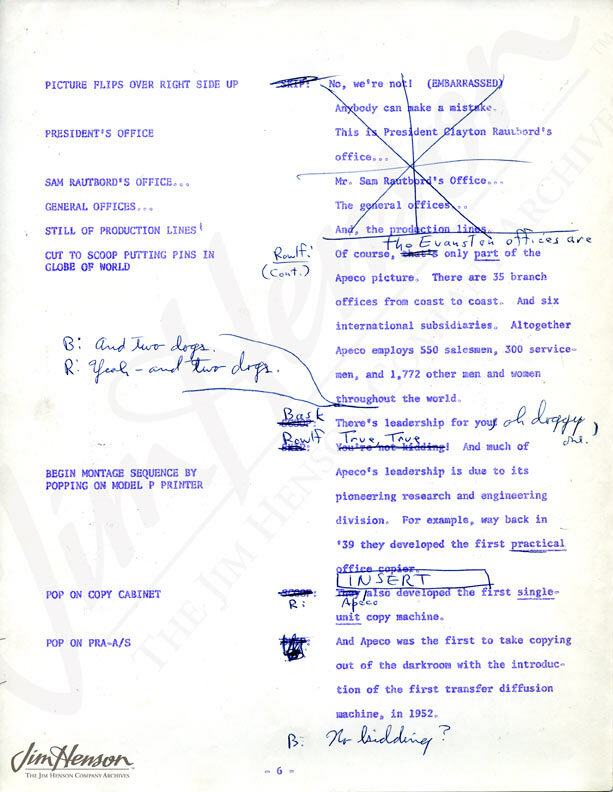 Script for Apeco meeting film with Jerry Juhl’s annotations, 1963. 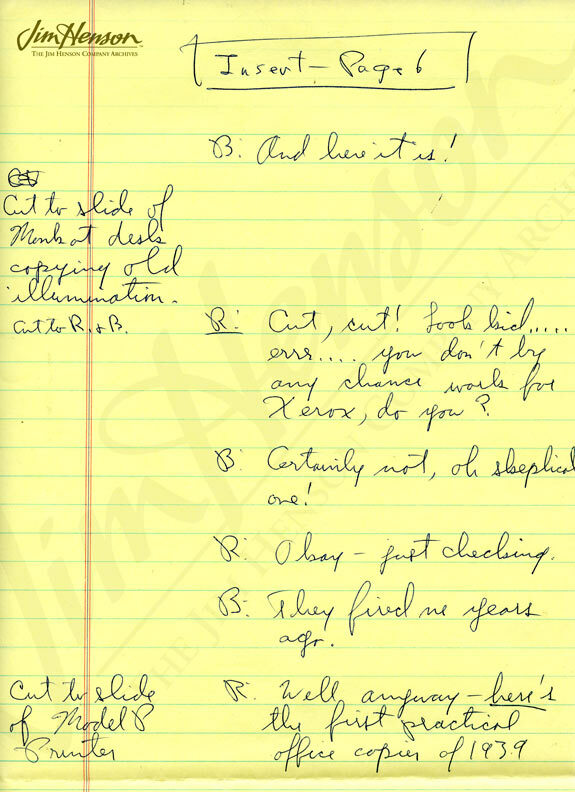 Page 2 of 2. 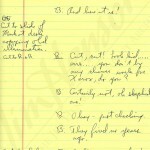 This entry was posted in 01-January '64, 1964, Commercials and tagged Chicago, Don Sahlin, IBM, Muppet Meeting Films, On-Cor Frozen Foods, Onky, Purina Dog Chow, Rowlf. Bookmark the permalink.